Federal workers are being warned to leave that #ResistTrump coffee mug or “Make America Great Again” hat at home and to stop wading into political arguments on social media. Talking about the possibility of presidential impeachment at the water cooler, though, might be OK.
Can federal workers criticize the president at work? Can they talk impeachment? What about posting on social media with the hashtag #Resist? In a memo to the nation’s estimated two million workers, the office said calling for a candidate’s impeachment at work is a no-no, as is using the hashtag #Resist if it refers to Trump. Context matters though. For example, criticizing a White House policy while chatting with coworkers might be acceptable. But doing it in the context of the 2020 election? That could pose problems, according to the memo. The memos were first reported by The New York Times. 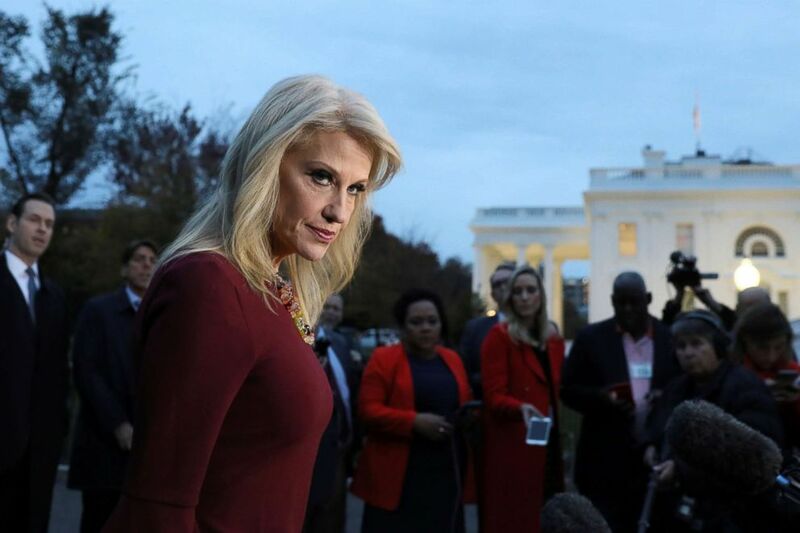 Several senior White House and administration officials have received warnings from OSC of violations, including White House counselor Kellyanne Conway, U.S. Ambassador to the United Nations Nikki Haley and White House social media director Dan Scavino Jr.
White House counselor Kellyanne Conway speaks with reporters outside the White House in Washington, Nov. 7, 2018. Trump's supporters have alleged that his agenda is being undermined by federal workers who are part of a "Deep State." Trump has tweeted about such a conspiracy, specifically alleging that the FBI could be part of a conspiracy working against him. The Hatch Act doesn’t apply to the president or vice president. The OSC said the goal of the memos wasn't to prevent all discussion of impeachment in the federal workforce. It's more about cutting out the advocacy at work. 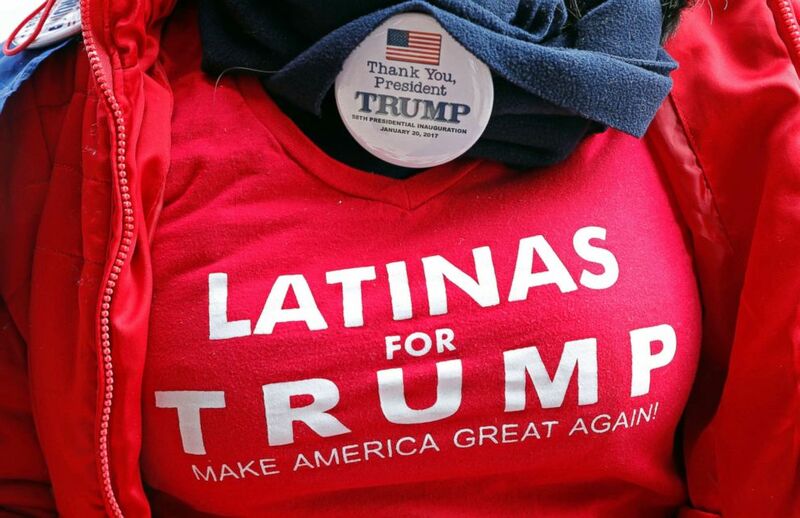 A fan shows off her "Latinas for Trump" shirt and Trump button, as she waits admittance to a rally with President Donald Trump, Nov. 26, 2018, in Biloxi, Miss. #ResistHate and even #ResistKavanaugh, a reference to Supreme Court Justice Brett Kavanaugh, is unlikely to run afoul of the Hatch Act because that wouldn’t necessarily factor into the success of a political party or candidate, the office determined. It’s also OK if the worker is talking specifically of resisting something unrelated to Trump, like a pastry, the office noted. “An employee would not be engaging in political activity by posting on social media 'I must #resist the temptation to eat another donut from the break room,'” the office stated.